WITH SCATTERED MODERATE/ISOLATED STRONG CONVECTION FROM 9N-12N BETWEEN 52W-57W. ATCF did not update 97L since 00z,but they did it at 18z. The following post is NOT an official forecast and should not be used as such. It is just the opinion of the poster and may or may not be backed by sound meteorological data. It is NOT endorsed by any professional institution including storm2k.org. For Official Information please refer to the NHC and NWS products. I am starting to have the feeling that this one may be a sleeper down the road and be a big threat to someone in the Caribbean. 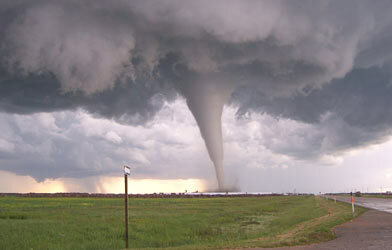 cycloneye wrote: The following post is NOT an official forecast and should not be used as such. It is just the opinion of the poster and may or may not be backed by sound meteorological data. It is NOT endorsed by any professional institution including storm2k.org. For Official Information please refer to the NHC and NWS products. Thanks for you input Cycloneye , we appreciate us in the EC islands. Meanwhile, Guadeloupe and Martinica are since this afternoon 5PM under an yellow alert for a risk of strong showers and tstorms due to a perturbed area near Barbabos and moving towards Martinica and Guadeloupe. 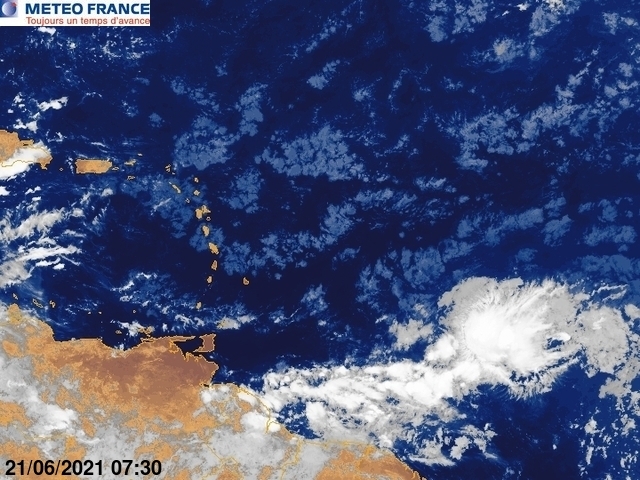 Meteorological vigilance Guadeloupe LEVEL yellow for "strong rain / THUNDERSTORMS". For the moment the time is still relatively stable with however some few showers begin to crab-wise on our archipelago. A disturbed area located south of Barbados gradually goes back to our islands, first setting Martinique and Guadeloupe. Monday. First, the showers moderate to sometimes supported is trigger here and there this Sunday evening. will then be able to reach the 50 to 70 kilometers per hour under the moderate rain and/or stormy. The risk of abrupt rise of localized flooding and water courses. The risk of occurence of the phenomenon is a moderate. Sunday, October 23 at 8PM on Tuesday, October 25 at midday. Monday, October 24 at about 06 AM. BARBADOS IS PRODUCING SCATTERED SHOWERS AND A FEW THUNDERSTORMS. OF SHOWERS TO THE ERN CARIBBEAN. 97L is still hanging around. STRONG CONVECTION FROM 8N-11N BETWEEN 52W-55W. More thuunderstorms today than in past days. NEXT 48 HOURS AS IT MOVES WEST-NORTHWESTWARD AT ABOUT 10 MPH. Is the sleeper trying to wake up? 97L is looking significantly better today compared to any time during the weekend. Convection has really flared in the past 12-24 hours and the system has been able to hold together quite well considering its proximity to the South America coast and low latitude. It is beginning to appear that 97L may just have a rather decent chance to spin-up into a possible tropcial cyclone deep down in the Caribbean later this week. Certainly, all interests in the Caribbean needs to pay a bit closer attention to this feature and not let their guard down. Wah, it's so hot and humid over here in Curacao @_@"
I hope this won't produce too much rain... we've already been saturated by continuous showers due to the monsoon trough lifting northward. Development-wise, I doubt this'll organize into much in the short term. It has little model support and conditions aren't too favorable. In the western Caribbean, who knows. STORM RINA...LOCATED ABOUT 190 MILES SOUTHWEST OF GRAND CAYMAN. WITH A BROAD LOW PRESSURE AREA OVER THE SOUTHEASTERN CARIBBEAN SEA. SEE STATEMENTS ISSUED BY YOUR LOCAL WEATHER OFFICE.